How do I buy a GradePower Learning Franchise? GradePower Learning is unique in the education industry in America, in that it combines cognitive learning strategies (teaching children how to learn) along with academic tutoring; a combination not found in most education franchises in America. 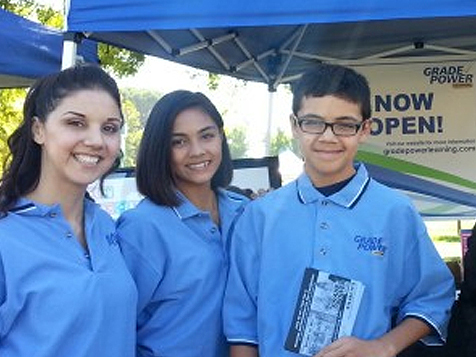 GradePower Learning is a one-stop, full-service provider of educational services. With programs ranging from our Little Readers program (teaching children 3 to 6 years old to read), to our Beyond Tutoring program (for ages 7 to 14), to our Advantage Program (for high school students) to our SAT/ACT test prep program, your center will provide services for virtually any family's educational needs. Open GradePower Learning in any of these available states: AK, AL, AR, AZ, CA, CO, CT, DC, DE, FL, GA, IA, ID, IL, IN, KS, KY, LA, MA, MD, ME, MI, MN, MO, MS, MT, NC, ND, NE, NH, NJ, NM, NV, NY, OH, OK, OR, PA, RI, SC, SD, TN, TX, UT, VA, VT, WA, WI, WV, WY. GradePower Learning is part of the Oxford Learning franchise system. Oxford is the largest, best-known and most respected supplemental education provider in Canada. In business since 1984, Oxford has more than 120 locations across Canada. GradePower Learning is a partnership between the founders of Minuteman Press (the largest printing and graphics franchise in the world) and Oxford Learning. 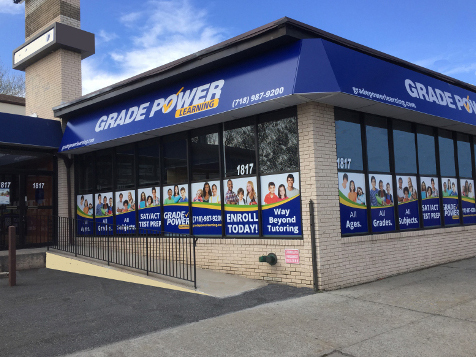 GradePower Learning combines 40 years of franchising experience from Minuteman Press; along with more than 25 years of education experience from Oxford, to form a franchise unlike any other education franchise in America. GradePower Learning is unique in the education industry in America, in that it combines cognitive learning strategies (teaching children how to learn) along with academic tutoring; a combination not found in most education franchises in America. As an owner you do not need any experience in education. We will provide the experience, expertise, curriculum, training and support services. GradePower Learning is a one-stop, full-service provider of educational services. With programs ranging from our Little Readers program (teaching children 3 to 6 years old to read), to our Beyond Tutoring program (for ages 7 to 14), to our Advantage Program (for high school students) to our SAT/ACT test prep program, your center will provide services for virtually any family’s educational needs. Your franchise will be unlike any other education business in your area, providing methods, strategies and teaching techniques not available anywhere else in the country. Unique to GradePower Learning is our proprietary Dynamic Diagnostic Assessment and our Interactive Coaching techniques. Combining these valued educational tools with teaching cognitive learning skills (teaching students how to learn) along with academic tutoring not only gives our owners a competitive edge in their market; it gives children the best opportunity to succeed. This is a company with a passion for education and a company built on the premise that giving lifelong learning skills to students is of far more value than simply helping them to pass a test or a class. Starting with our Dynamic Diagnostic Assessment you will be able to assess a child’s cognitive strengths and weaknesses as well as their academic strengths and weaknesses. We teach children how to learn, skills that will benefit them in all facets of their life. You will have access to all the proprietary educational materials, strategies and methods that have made Oxford Learning the leading supplemental education provider in Canada. As a GradePower Learning franchise owner you will have all the training and support services developed over the past 25 plus years along with the knowledge that what you have to offer is unlike anything else in the marketplace. The GradePower Learning model in the US is even more unique in that it includes a new proprietary test prep curriculum, preparing high school students for the SAT and the ACT exams. This very important component also includes our cognitive methodologies. Throughout the US we are experiencing the most competitive educational environment in our history with competition for college seats more intense than ever before. The need for our services is greater today than at any time in our history; and, it appears this will be the case for many years to come. GradePower Learning is a provider of premium educational services. 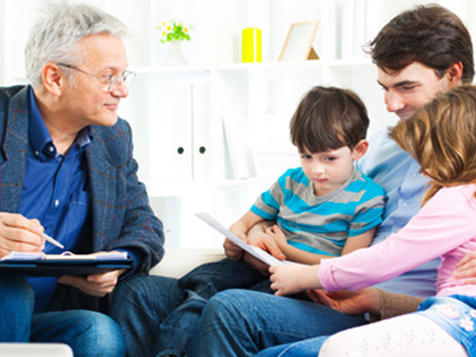 We provide a service for virtually every family in the community. In addition to our core offerings we provide a curriculum for ADD and ADHD students as well as summer camps. That’s what makes offering this franchise so exciting. We are providing a business opportunity where you can really make a difference in a child’s life and at the same time provide a life changing experience for you and your family. With GradePower Learning you will own a business that helps young people, one that is valued by the community and one that can provide financial security for you and your family. We invite you to take a closer look to see how we’re different, why we’re different, and how you can make a difference in your life and in the lives of those you help. GradePower Learning is not currently active in our directory, but here are some other recommended selections for you to explore.